Carrier Infinity System, removes more than 95% of the heat from the fuel, operates a variable speed motor which only runs at the speed necessary to heat or cool for superior efficiency. Carrier Infinity System with Puron®, a refrigerant that doesn’t damage the ozone layer. allows you to pre-set your heating and cooling cycles. let you maintain different temperature in each zone to save energy and increase comfort. by Navien®, uses 31% less energy than standard tank water heaters, saving you money on utility bills. by KOHLTECH reduces heat loss through the window glass, while saving energy. with the ENERGY STAR® label appliances can use up to 50% less energy than non-ENERGY STAR® models. 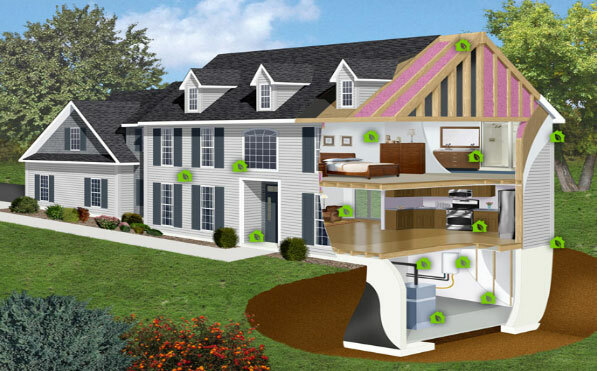 adds 2 inches of insulation for an R-19 to exterior walls, better energy efficiency and lowers heating and cooling costs. help keep your basement comfortable all year round by reducing heat loss through the foundation. with one inch thick glass assists in keeping cold and heat at bay, and help lower heating and cooling costs. where insulation run to all the roof eaves allowing for a tight fit and air seal in the attic, resulting in a better-insulated home. by Dow gives superior protection against the elements which reduces air infiltration by tightly sealing the building envelope, improves the energy efficiency, air quality, and comfort of your home. by KOHLER® allow today’s toilets, shower heads, and faucets to use less water while still maintaining performance. no cold/warm air ever travels through an un-insulated space. This means NO ENERGY LOST. 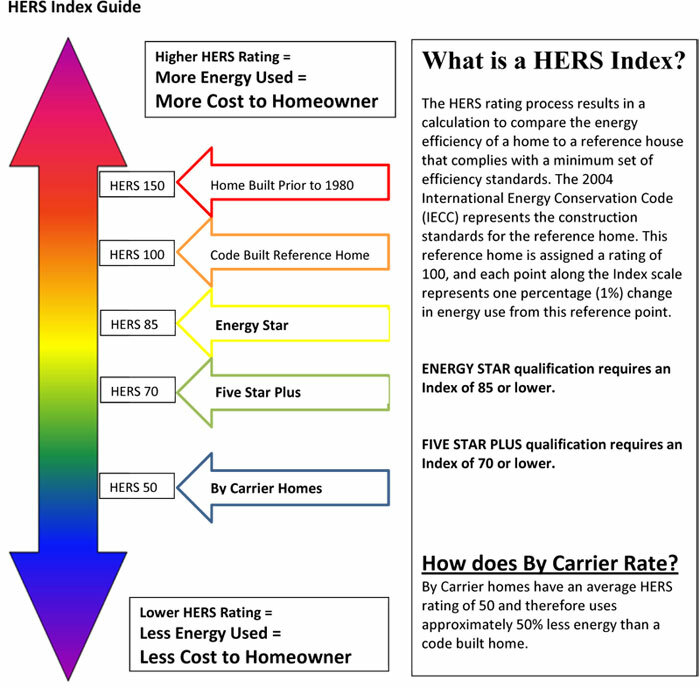 By Carrier homes are some of the highest Energy Efficient homes in the area. Home buyers are becoming increasingly interested in green building, energy efficiency and the impact on the planet. That’s because the energy used in homes often comes from the burning of fossil fuels at power plants, which contributes to smog, acid rain, and risks of global warming. So, the less energy used, the less air pollution generated. An ENERGY SMART home can include a variety of ‘tried-and-true’ energy-efficient features that contribute to improved home quality and homeowner comfort, and to lower energy demand and reduced air pollution.